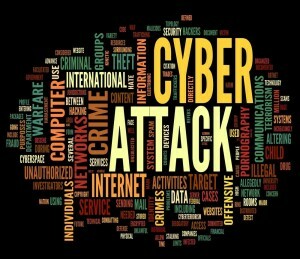 Last month, there is a huge cyber-attack on one of my business program, SFI. Fortunately, SFI has taken quick, appropriate action to notify all of us and implement reauthorization process on our SFI account so that we can get into the Affiliate Centre to do our business as soon as possible. There are billion of users in the internet and you do not know when this can happen to our site. We must not take for granted that nobody will come and steal any information from our personal site since it is not a high traffic site. It is always our responsibility to take precaution and protect our site. 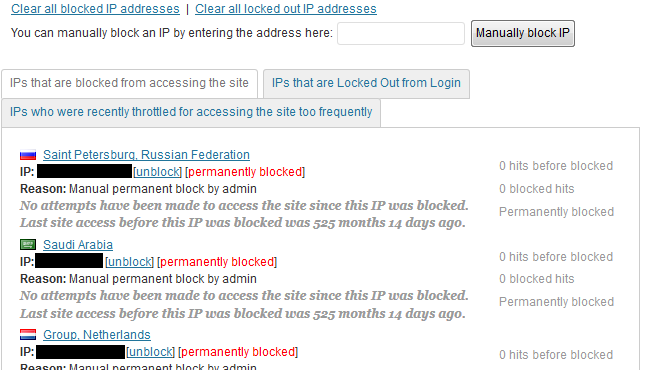 I have been using this free WP plugin called Wordfence Security to protect this site of mine. It is a anti-virus, firewall and real-time WordPress security network. It will alert you when someone attempt to login into your WP site, and it will block them out after a number of login attempts that you have set. I usually manually block the IP permanently after I receive the alert message just like the one shown here. You can also view the live traffic by hits or humans to your site. It can scan for updates on your existing WP items like theme, plugins, etc and alert you to keep them updated. And many other features when you explore Wordfence inside. Again, I would advise that we should protect our site before anything may happen anytime, anywhere, just to be safe. And if you need help on how to install WP plugin, you can refer to the “Managing Plugins” at wordpress.org. Also, check out my earlier blog on “My site got hacked“. If you have other experience or solution to share, please leave your comment below.